Shockingly I have never had a tostada before and I'm really not sure why. Whenever I would go out for Mexican I would always end up with enchiladas or a burrito. I love the combo of bbq and buffalo wing sauce and wanted to create something other than tacos. These are obviously not your traditional tostadas but they were delicious non the less! Arrange chicken in bottom of crock pot. Sprinkle seasoning over chicken and add in your BBQ and Wing Sauce. Cover and cook on low for 4 hours. Shred Chicken and return to crock pot. 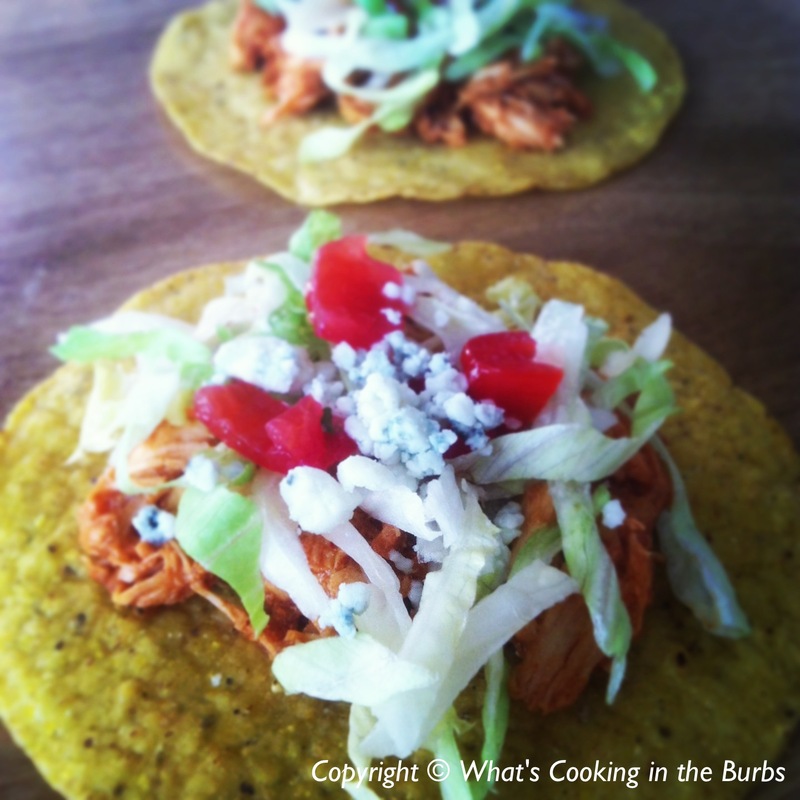 To assemble tortillas take a small amount of chicken and layer with toppings of your choice. Enjoy! Oh these look SO good! Pinning! These look SO GOOD!! Pinning now! Love your blog Bridget! I will really enjoy your Tostadas! Your recipe is fabulous and thank you so much for sharing with Full Plate Thursday. Have a great weekend and come back soon!